Poetry can be one of the trickiest areas of the curriculum to teach well. How can pupils come to understand a poem without being spoon-fed? How can they engage in personal response when the language of a text can seem dense and difficult? How can they learn about poetic conventions and style while still enjoying the experience of reading? Here are five handy strategies that encourage pupils to explore difficult poems themselves (with teacher intervention and clarification to follow, of course!). This strategy encourages pupils to read a poem closely without worrying about what it means. First they read a new poem on their own ‘with their ears’, thinking carefully about how they think the poem should be read out loud. Next, they join with a partner and discuss their ideas. Finally they develop a reading of the poem together and perform it to the class. In doing this, pupils will have become very familiar with a poem, so laying the groundwork for further close language work. Another way to encourage pupils to think about how a poem sounds is to give everyone in the class a line from a poem and ask them to select the word that they think is most interesting. They then take it in turns to walk through a sound tunnel formed by classmates, while everyone says their word as someone goes past. Teachers can spice up the activity by asking for the words to be said in different ways, or by encouraging pupils to walk through the tunnel with their eyes shut. Once everyone has gone through the tunnel at least once, the whole class can discuss the words that stood out for them and how they would group words together. They are then really well prepared to look out for and think about particular vocabulary choices when meeting the poem as a whole. Pupils can be put off responding to a poem in class because they are too focused on giving the answer they think the teacher wants, rather than offering their honest opinion. This anxiety can be dissipated if they are asked to respond in role (any mistakes are then down to the character!). Ask pupils to read a poem on their own, imagining they are the poet. In role, they then underline three sections they are particularly proud of having written, adding comments about why. In this way, they have preparatory material to use in a whole class discussion, or other forms of exploration. This challenges pupils to explore a poem without initial input from their teacher. Small groups read a poem together and decide on three short tasks that it would be helpful for pupils to do when exploring it for the first time (e.g. identify what you think are the five most important words in this poem and explain your choices). They exchange tasks with another group and complete each other’s. This then feeds into a whole class discussion about what pupils have found out and what they want to know more about. 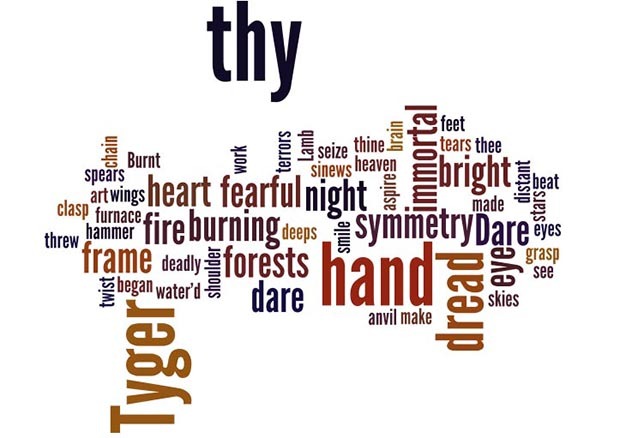 Feed the text of a poem into a wordle programme such as www.wordle.net and show pupils the results. Ask them to make predictions about the poem (or even try to write a poem) based on the words that appear and use their ideas as a springboard to analysing the poem itself. Kate Oliver is an Education Consultant and EMC's Courses Manager. Is ‘What Works?’ The Only Question Educational Research Should Be Trying To Answer? Knowledge About Literature At KS3 – What’s Significant Knowledge?